What legal requirements must foreign students at LMU meet if they wish to remain and work in Bavaria after completion of their studies? How much time do they have to find a job after they graduate? Under what circumstances may other family members subsequently enter the country to join them? And what services does LMU provide to current international students to help prepare them for a professional career? 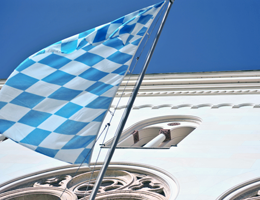 The Bavarian Ministry for Science, Research and the Arts, together with the Economics Ministry, has just launched a new initiative headlined “Study and Stay in Bavaria”, in cooperation with the universities in Bavaria. As its name suggests, the goal of the initiative is to encourage international students who are currently enrolled at a Bavarian university to stay on after they have finished their course of study here. The Ministers responsible for the program, Dr. Wolfgang Heubisch and Martin Zeil, will introduce the initiative and elucidate the thinking behind it at a briefing to be held at LMU, which is open to the public. They will also take part in a panel discussion, on study conditions and job opportunities for foreign nationals in Bavaria, with students and graduates from abroad, representatives of LMU, and Bavarian business leaders and politicians. Following the discussion session, light refreshments will be served, and attendees will have an opportunity for further informal exchanges.